After the heroic feats of the German World Cup football team it is time to reflect on our local heroes. They look like you and I but they are selfless and always think of others first. 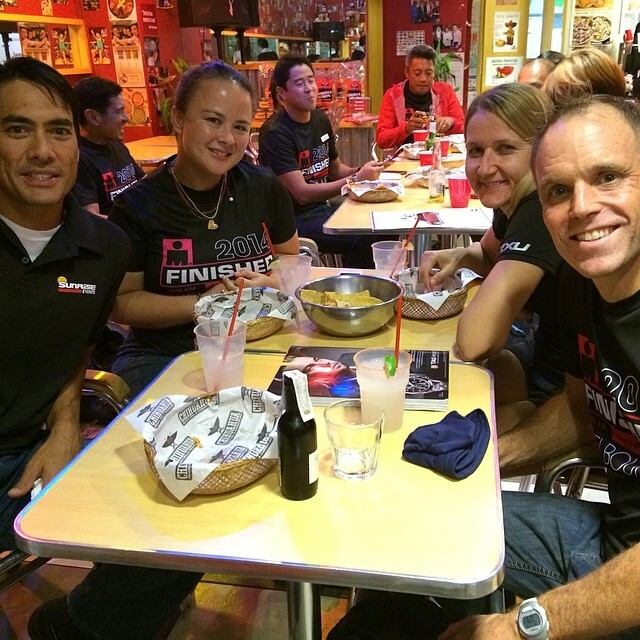 Thanks to Princess and Fred Uytengsu from Sunrise Events, and David and Honey from 2XU Philippines, there was a fun Melbourne Ironman after party at Chihuahua Mexican Bar & Grill. 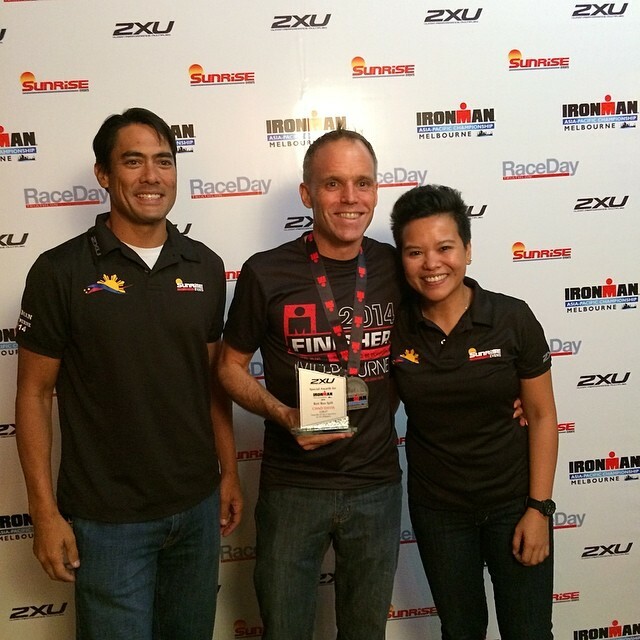 It was fantastic to re-live our great memories from Melbourne where every member of the Filipino contingent became an Ironman. The party was a lot of fun and I was delighted to be awarded with a nice trophy for getting the best marathon split for the group with my 3:28:27 time. (1)	Beautiful St.Kilda/Melbourne: We were absolutely delighted to be staying at a beautiful apartment in the heart of the action. Our view from our room was spectacular (as seen below). We booked through airbnb as it is inexpensive and you can find an ideal locations with kitchens and all the modern conveniences. St.Kilda is where all the main events were happening and we loved the area. You could swim at the beach, walk to the Ironman expo, bike and run the marathon course, and experience the great restaurants of the area. The people, lifestyle and ambience were truly fantastic. Wow, what a blast it was to be finally off the bike. I did a quick stock take of my body and I was feeling good. I had no cramps, was very happy with my bike nutrition and drinks consumption. 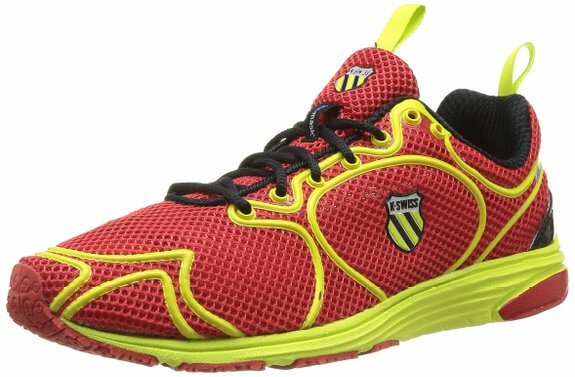 It was a great relief to have on my trusty K-Swiss mens running shoes and I felt I was ready to rock the run course. I was initially thinking of maintaining a 5 minute per kilometer pace but decided to go with the flow and run at whatever pace I was comfortable doing. Well, for the first 10km that pace was at a quick 4:31/km average. 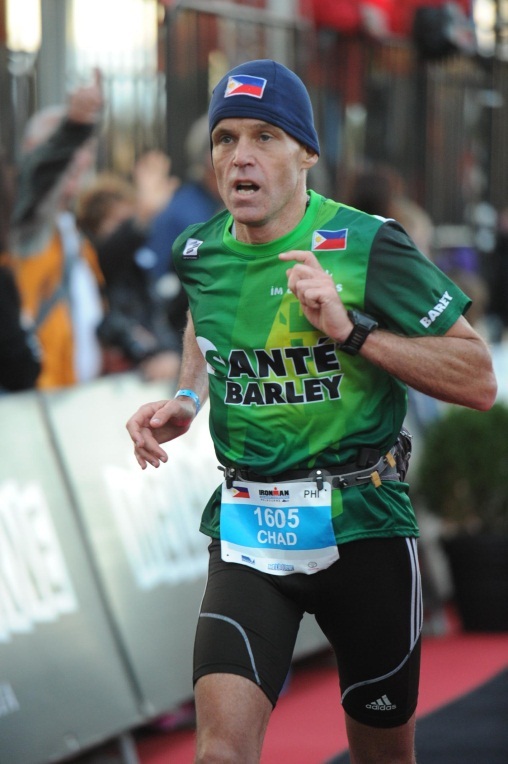 I was flying past many triathletes with many a spectator commenting on my pace, my easy running style and encouraging me to keep going. Indeed, the most memorable guy was standing outside a hotel with a beer in hand. He told me if I maintained my pace that I would overtake 500 people. I must have done a double take and looked at him with apprehension as he then repeated it and told me to keep it going. I kept his comments in my mind the whole run as I did indeed want to overtake 500 people. It turns out that I actually ran past 472 people with not one person over-taking me. So, of the 360 that took me on the bike it turns out that I got them back on the run with interest. I got to overtake another 100+ who were already running even if I was still many kilometers out on my bike. I loved the run. I will never forget it as I got my personal best time of 3:28:27 (beating my previous best by almost 2 minutes). It is very empowering to know you can run so strongly after a hard bike ride. One of the highlights of the whole trip was our breakfast with most of the 80 strong Filipino contingent. Thanks to Fred Uytengsu and Princess of Sunrise Events we had an excellent breakfast together and discussed our excitement for the pending event. Fred even arranged for the eventual female winner, Caroline Steffen from Switzerland, to give some words of inspiration to us all. 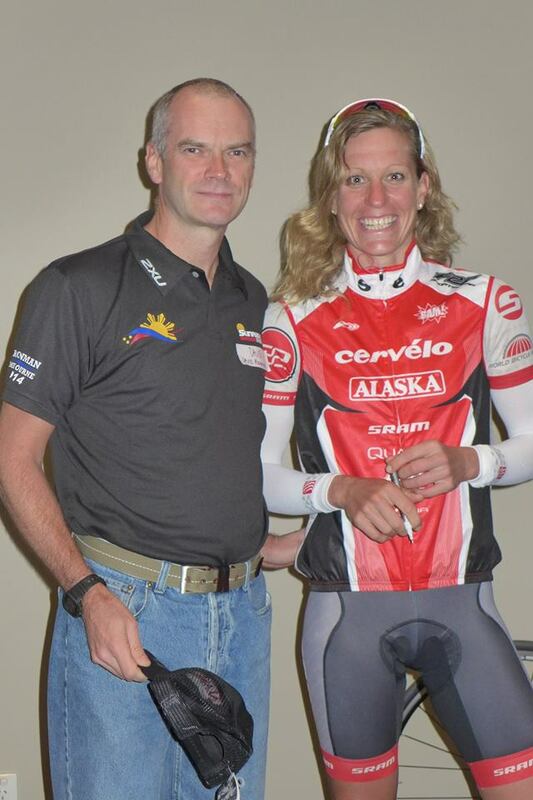 She also won Melbourne Ironman 2012. After putting our transition bags into Frankston we simply ate well and rested. We had a very big late lunch of smoked salmon with avocado, scramble eggs, ham, mushroom, tomato, spinach, chicken, green tea and even a glass of red for me! We were in bed by 6pm and had a restful sleep knowing we had trained well, tapered appropriately and had done all we could to be ready for the grueling task ahead of us. Definitely no carbo-loading occurred this time. 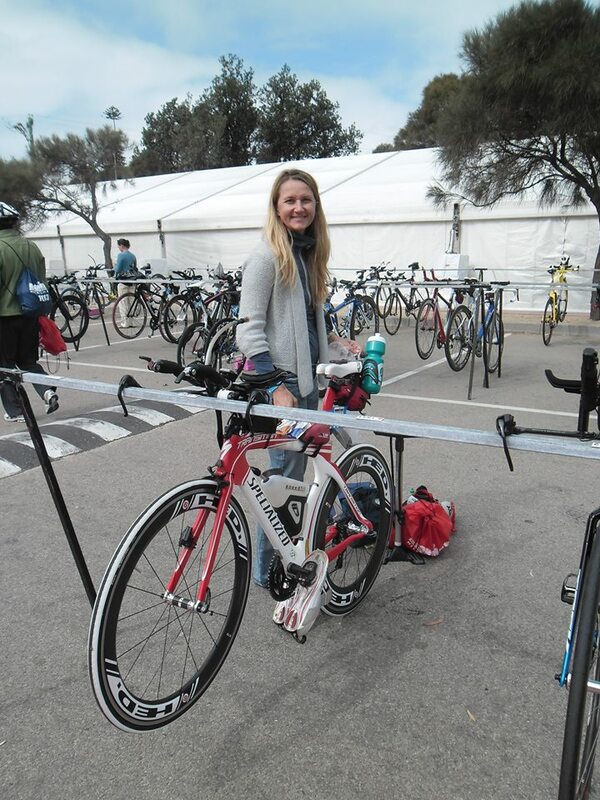 Luckily we had Tri-United 1 as our triathlon warm up before Melbourne as Natasha learned a very valuable lesson. Despite not eating much bread, pasta, rice, noodles etc. for at least a month before Tri-United 1 Natasha decided to “carbo load” a little the night before the race. She ate a simple Japanese Udon Noodle dish that reacted very badly with her stomach so that she was quite ill several hours before that race and up to gun start. That lesson was well and truly learned from and neither of us would make that mistake again here! We stuck to our regular nutrition of quality meat, vegetables and fruit. Natasha and I enjoyed our time in the Fitness First tri-team and have many good friends there, but we felt that the new-year was time for a new team. We left Fitness First with the intention of joining Team OMO with David Richmond. OMO stands for On My Own! However, once my old mate Jonah knew we were team-less he made us an offer we could not refuse. 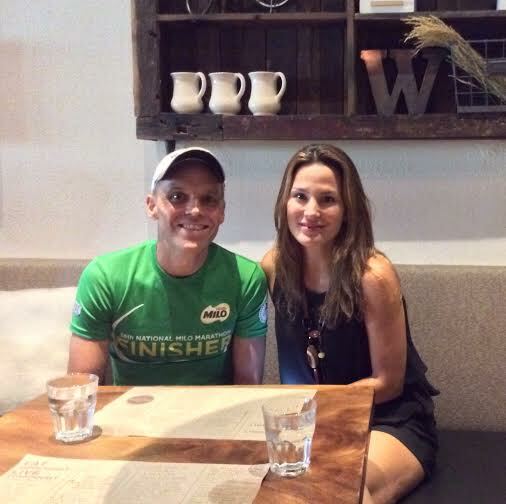 He offered friendship and a nice green tri-suit. Luckily for us Sante Barley welcomed our training buddies in Wallen, David and Julien as well. You are an Ironman! These are the 4 words a lot of triathletes aspire to hear one day. 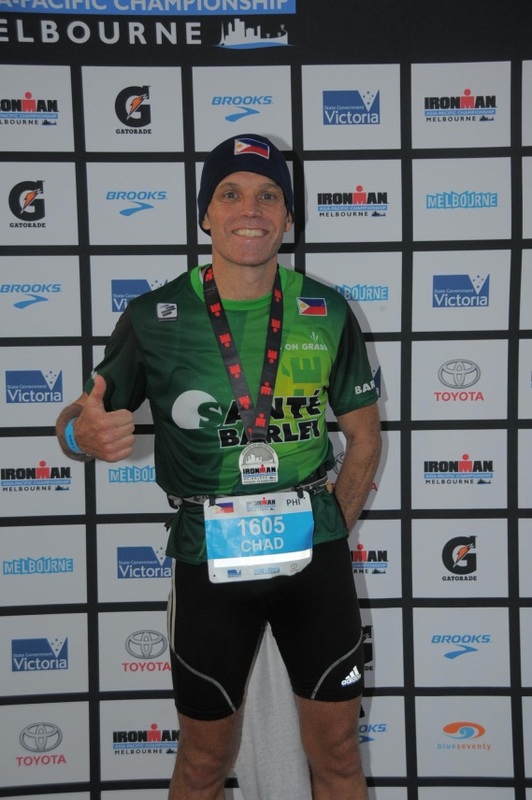 It is not just receiving the medal, or wearing the Ironman shirt afterwards, that makes those words so special, but the knowledge that you have achieved something significant that you can look back on with pride. It means that you were able to master the 3 distinct disciplines of the Ironman event (swim 3.8km, bike 180km and then run 42.2km). This 5 part post will discuss these 3 disciplines as well as the most important and neglected 4th discipline of nutrition. Nutrition relates to your eating lifestyle months prior to the event and not just the supposed carbo-loading fallacy most athletes do the days prior to their event. I hope you can learn from what I did right (as well as wrong) so your first Ironman will be a success.